A mirror is created by applying a film of silver to the reverse side of a glass. 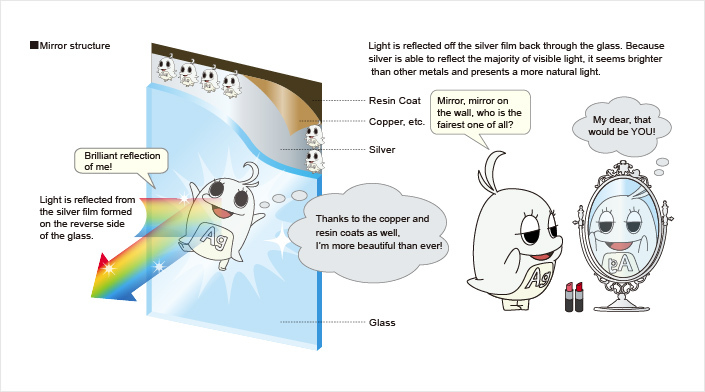 Protective coats of copper and resin are then applied over the silver film.When we look at ourselves in a mirror, we are actually seeing light reflected from the silver film through the sheet of glass. Because silver is able to reflect the majority of visible light, it seems brighter than other metals and presents a more natural light.